How is your week going so far? If you’re looking for a few great historical romances to read over the weekend, I have two to share with you in this week’s Sweet Reads Spotlight. 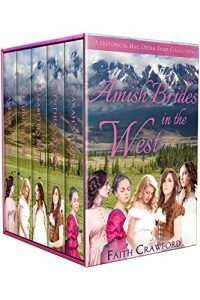 First is an Amish mail order bride box set from our friend Faith Crawford, titled Amish Brides in the West: A Historical Mail Order Bride Collection. Right now, it’s available on Amazon with Kindle Unlimited or for $2.99. 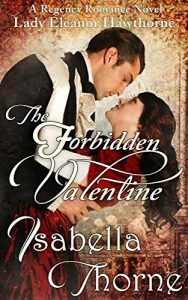 Also, I wanted to let you know that in case you didn’t already download Isabella Thorne’s latest, The Forbidden Valentine, it’s on sale for 99 cents until tomorrow only, then the price will be going up to $2.99. There’s also the History & Romance Instafreebie giveaway happening right now, where you’ll have the chance to check out lots of new authors at no charge. 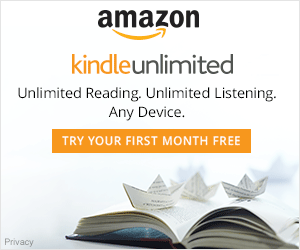 If you prefer to only read clean romances, be sure to research any author you’re unfamiliar with on Amazon before downloading his or her book from this giveaway. Five young women are looking for love, a new life, adventure and a family to call their own. Coming from an Amish background, these women enter a new world that they hope will ultimately lead to the one experience that makes every life worth living: to love and to be loved. Will they find what they were looking for? Sarah Fisher is a regular Amish girl. But when her sister dies in childbirth, she is given the difficult task to find her brother in law, who is in the west and unaware of his wife’s death. Sarah is traveling west with the baby, when she receives an offer to be a mail order bride. With no place to go, she agrees. But will this convenient arrangement make way for love? And will she find the baby’s father? Cynthia Lapp is determined to marry for love, even if it means marrying non-Amish and getting shunned. But when she is stood up at the altar, she has only one option left: responding to a mail order advert. Elizabeth is naïve enough to run away with Thomas. But when he reneges on his promise to marry her, Elizabeth realizes that she has made a terrible mistake. Rescue comes in the form of Marcus’ mail order advert. It is Rumspringa for Claudia Graber, the period when a young person’s future is made or broken. But when she fall pregnant with a man she thinks loves her, she is betrayed in the worst possible way. Fate takes Claudia to Montana, to the estate of George Hardy. By then, she considers herself worldly enough to not be taken in by older men. Besides, she hides a secret that could have her out of a job… Will Claudia let past hurts cloud her judgment or will she risk her heart one more time? Vanessa Schwartz went to Oregon to ease the suffering of patients grappling with cholera. But soon, she finds herself a surrogate mother to a sweet, orphaned child, and in love with the handsome Dr. Harris. But Dr. Harris is expecting a mail order bride. Vanessa contents herself with raising the child and working. It’s not that simple for Dr. Harris. He cannot get Vanessa out of his mind. Will the two find a way to be together without causing heartbreak to the mail order bride? Can love survive when generations of hatred threaten to tear it apart…? Lady Eleanor Hawthorne never planned on falling in love with a Firthley. The Hawthornes and the Firthleys have been enemies since before Lady Eleanor was born, but when Eleanor’s sleigh is stranded in the snow she cannot bring herself to forget her handsome rescuer, even when she realizes he is David Firthley. Likewise David Firthley finds himself entranced by the sweet violet-eyed girl who trudged through the storm to his doorstep. No matter her family name, he must see her again. David and Eleanor pledge their hearts at the St. Valentine’s Day Ball, knowing they shall never be allowed marry. Firthley and Lady Eleanor now find themselves trapped in a web of lies, secret meetings and long lost love letters. They must find a way to end the feud. But with the truth of its origins lost to time how will their families ever find forgiveness? Can the hatred of the past truly be forgotten…or are Eleanor and David fated to repeat the mistakes of the past and end in ruin? Be sure to visit the History & Romance Giveaway to see the selection of historical romances available on Instafreebie through April 6.